PRICE REDUCTION AND VERY MOTIVATED SELLER!!! FRESHLY PAINTED and Beautifully renovated two bedroom, two bath unit in the world famous Terrace Park of Five Towns 55+ community. This unit has been completely renovated and is truly move-in ready. The bright kitchen features solid wood shaker-style cabinets with soft-close hardware and granite countertops, mosaic tile back-splash, New stainless steel Whirlpool appliances (refrigerator, range, dish washer and microwave) complete the stylish kitchen. A large Master bedroom includes his & hers closets, and a spacious master bath with matching shaker cabinets and granite. The Guest Bedroom is the perfect size for guests who are sure to visit this oasis in paradise. The large Living/Dining room area is perfect for entertaining. knock down ceiling, less than 2 years old A/C. 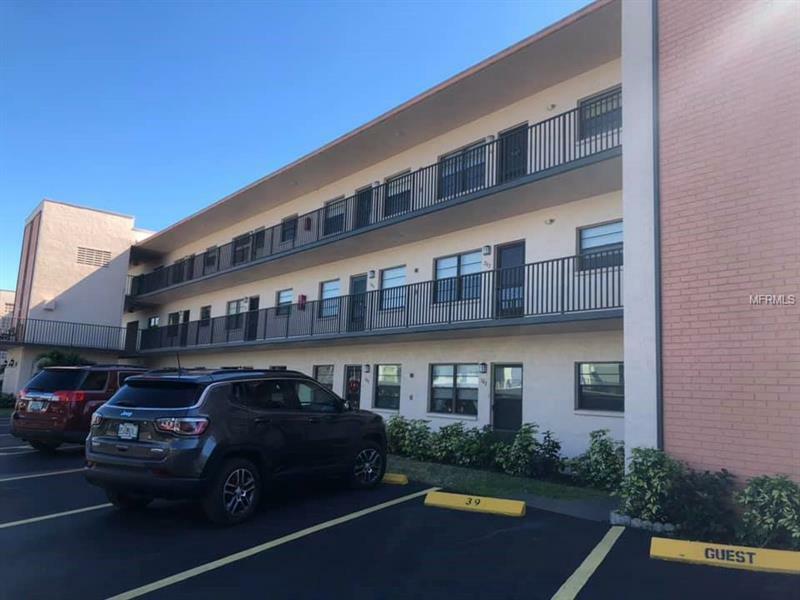 This second floor unit has an elevator and laundry facility in the same floor, also features a screened-in balcony directly off the kitchen which is the perfect place to enjoy your coffee, ! The Five Towns complex features six swimming pools, daily social events, beautifully landscaped grounds and just minutes from Pinellas counties famous beaches and shopping.Please schedule an appointment today because this one won't last.